If you are looking for a high-quality watch in general or a Seiko watch in particular, this article is perfect for you. I’ll show you how to get a great timepiece from my list of top 10 best Seiko watches for every budget and style you want based on my personal experience as well as the feedback from watch lovers on prestigious forums and communities. Let’s go! This watch is highly rated by users who want a timepiece with good quality and an acceptable price. The brushed round case along with khaki green canvas strap gives the watch a stylish look. Personally, I’d prefer to replace the band with a leather one. It gives the watch a retro look, and you don’t have to worry that the band would stretch after approaching to water. Overall, this watch is a typical field watch with a simple design, shock resistant and very lightweight, which is perfect to wear with casual or outdoor clothes. It also has 24-hour format dial like any other field watch. Besides, it is luminous, so you can see the time anytime and anywhere you want, even in the dark. So why don’t you give this affordable Seiko watch a try? It looks not very different from the previous watch that I’ve mentioned, except the black canvas strap and black 24-hour format dial. But remember to avoid making the band wet because it may become loose and no longer fit your wrist. The watch is powered by self-winding caliber 7s36 made by Seiko. Like many other models of dive watch and military watch, the hands and hour markers are also luminous in the darkness for the whole night but quite dim in the morning according to some users’ feedback. This watch does not provide winding or hacking so you should wear it at least 4 hours per day to keep it precise. In my opinion, this typical field watch perfectly goes with casual dress and outdoor activities because it is really light and shock resistant as well. This watch is a typical beauty of finest mechanical movement and metal strap with bright silver color. The hands and hour markers are white on the black dial. At three o’clock you can see the display of date and month. In my opinion, guys with classic and elegant styles should choose this timepiece because of its delicate design. It is also water resistant up to 330ft. and a push-button deployment clasp with Safety Lock really makes it worth the price. Let’s check out the specifications of the watch below! Another thing to notice is that if you are a fan of Rolex Submariner, this Seiko’s SNZF17 is a perfect inexpensive Submariner homage. The appearances are quite similar, but there are still some differences to make the Seiko watch look unique, not 99,9% copied from Rolex. Obviously, with this price tag, this watch is a good choice for Japanese watch enthusiasts who love the Submariner. 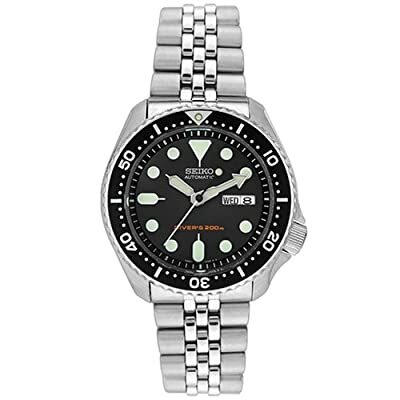 The SKX007 is one of the most popular Seiko watches. The price always goes with high quality. It’s an ISO6425 certified diver watch, which is designed for pro divers who often dive to over hundreds of feet underwater. One of my friends also owns one. He said he never took it off when he went swimming, snorkeling or taking a shower but it still worked perfectly. Obsessed by its delicate design too? Stainless steel case goes well with a silver bracelet, which gives me a solid feel. High-quality Seiko Hardlex crystal that is totally scratch resistant. The unidirectional bezel is a bit protruding to protect the glass. Try wearing it with office clothes and you will be as cool as “James Bond”. Whether you are a professional diver or not, this watch will make you look more energetic and show your gentleman class. As for me, this watch is absolutely a masterpiece of classic design. The case measures 13.1mm thick. The face of the watch has strong sundial effect, which makes it look very catchy under the sun. At three o’clock you can see the date display. As a typical dress watch that is light and fits the wrist, it suits both office dress and special occasions. Actually, I am using this watch on a daily basis and it is amazing. When not worn on the wrist, the timepiece can run up to 50 hours. It also works very well with my Orbita watch winder. After all, just two words to describe this watch: Pure Class. The design of this watch is sleek and clean with a round shape and bright silver steel band. The hands and markers are luminous for incredible low light display. This watch is suitable for men who want to look bold and manly thanks to its big & thick case. That’s why this watch even has a nickname “Sumo.” It is also an ISO 6425-certified dive watch which is made for professional use. The power reserve can be up to 50 hours after it is taken off from your wrist. I must say this is an excellent automatic diver watch. This watch is quite accurate when it only gains +15 or -15 seconds a day. Anyway, you had better wear it on a daily basis to maintain the precision. If you can’t, hand winding or a watch winder is advisably needed. It’s totally worth it! I am very impressed by the simple but delicate design of this timepiece. It is a perfect dress watch that is lightweight and can go well with office dress. The case has an excellent brushed finish; black dial sports luminous hands and silver-tone hour markers. The classic stainless steel strap has a deployable clasp with safety lock. This watch also uses sapphire crystal for better scratch resistance and an exhibition back so that you can easily see each mechanical movement in action from behind. Personally, I love the idea of a transparent back case that makes the movement visible. It is no longer a watch, but a real art masterpiece by Seiko. Generally, it is worth trying this luxurious watch with such an affordable price. Dynamic appearance makes this sports dive watch seem suitable for the young with a silver stainless steel bracelet and black & blue accented bezel. This watch also has luminescent hands and markers that allow you to see the time in darkness. The date is displayed at 4 and 5 o’clock. The most integral feature is obviously its chronograph, which shows great time accuracy for sports activities and looks cool too. It is powered by solar cells and can be recharged by light satisfactory. I haven’t used this watch, but according to customers’ review that I collected from prestigious forums and communities, this watch is claimed awesome and durable with an unbeatable price. It is designed for professional marine sports and underwater activities but if you want to look energetic and sporty, don’t hesitate to try it! This Seiko SARB017 watch is a powerful machine with up to 50-hour power reserve. It uses 6R15 caliber self-winding movement like many other Propex watches of Seiko that can be hand wound or hacked. This is the best Seiko movement for the price range of under $1000. 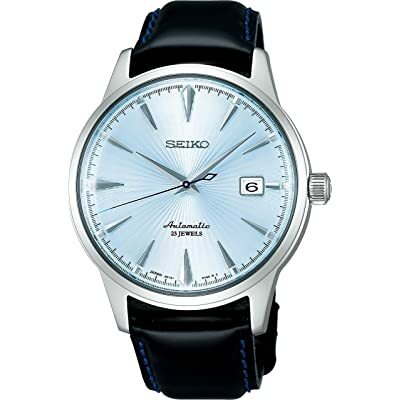 The sapphire crystal, which is typical of Seiko luxury watch, protects the dial from scratches. Though it is a lightweight field watch, the design is quite precious. You would also love the fine polished finish with green dial and luminous golden hands and hour markers. The case is also made of brushed and polished stainless steel, which keeps the watch durable for years. However, I find that most of the customers don’t like its strap because it looks like the band of a cheap timepiece. You can switch this strap with one from StrapCode, Deluca Strap or order directly from Seiko. This watch would look perfect and professional with an elegant stainless metal bracelet. I can say that it’s one of the most beautiful Seiko watches you can find in the market! This watch is an absolute masterpiece from Seiko. The titanium case not only gives the watch insane look but also protects the interior apparatus from the collision. Classic silver-tone luminous hands and markers on a black dial as well as fine brushed finish are wonderful. It is also impressive to look at the saw-like edge of the diving bezel, which makes it look bolder & more masculine. This timepiece is of the premium luxury watches range made by Seiko. It has a nickname “Shogun”, a name to call the royal tycoons in Japanese feudatory era. 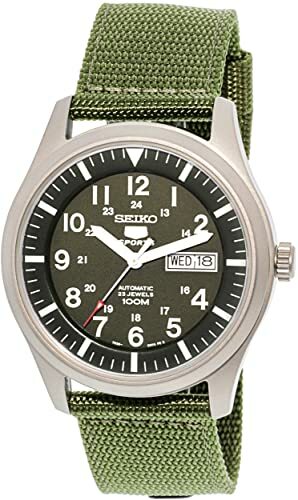 Just like many other products from Seiko that runs on automatic 6R15 movement, this watch has excellent precision, about +15 to -15 seconds per day. 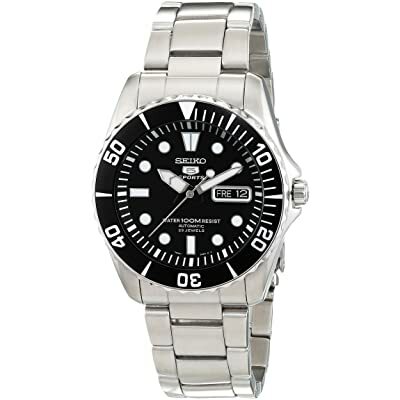 The water-resistant depth is up to 660 ft. That means you can go diving with it without any problems. Let’s take a look at the table below to check out its specifications. 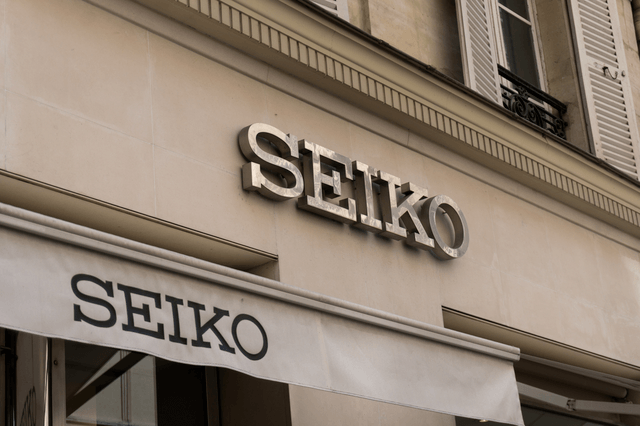 The story of Seiko Watches began in the late of the 19th century with a small making and repairing clocks shop owned by a young entrepreneur Kintaro Hattori in the center of Tokyo. In 1913, the birth of the first wristwatch made in Japan by Seiko was a great milestone of theirs. Since 1924, the brand “Seiko” was finally adapted to their new line of timepiece products. In 1990’s, Seiko republished The Scubamaster, the Seiko Termicand the Spring Drive watch, a revolution of a mechanical watch with the precision as quartz timepieces. The incredible technology perfection and precision of Seiko watch has been recognized by the whole world. The Japanese watch manufacturer was chosen as the timekeeper on Olympic Games held in Tokyo, Lillehammer, Sapporo, Barcelona, and Nagano. 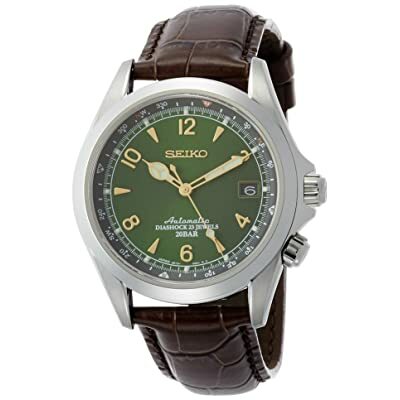 Seiko is also known to feature in some world-famous movies. Various models were worn by many actors like Roger Mooreas James Bond or Sean Connery in “Never Say Never Again”. The elegance and amazing precision of Seiko watches results from the company’s attention to create the best luxury timepieces in the world. Today, Seiko has hundreds of watch collections, and all of them show the advanced technology of this No.1 Japanese watchmaker though the price may vary from some hundred dollars to thousand dollars. 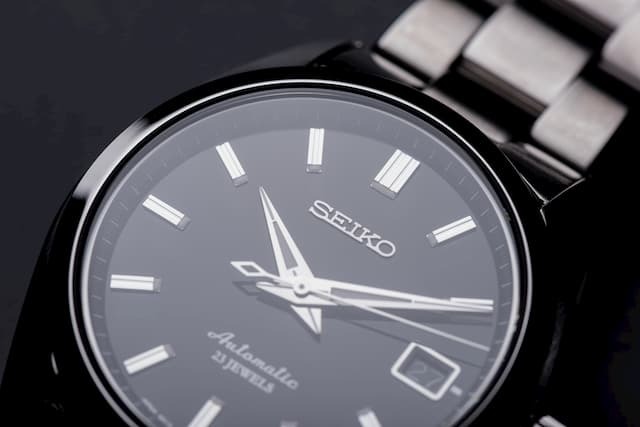 Another feature that Seiko watch has is the hardlex crystal used to protect the dial. While most watch faces in the world are made from mineral glass, Seiko company produces their own anti-scratch Hardlex Crystal with the hardness rate of 9/10 (diamond is rated 10/10 and mineral glass is 7/10). The power reserve of Seiko watch is also impressive. It can keep running for days even when taken off from your wrists. Certainly, for an automatic watch, you will need to wind your watch manually or use watch winder to ensure that it runs accurately. That’s the reason why I strongly recommend that you should keep your eyes on Seiko’s products. Completely Japanese quality! Especially if you are a gentleman who loves the classic and elegant style, no wonder Seiko will never make you disappointed with their pure class timepieces. Let’s make a good choice! Is Seiko or citizen better? I have received a lot of questions regarding the quality of Seiko and Citizen. These two are my favorite quartz watch brands, both from Japan, and both offer distinct features as well as many similarities. Seiko was founded by a jeweler named Kintaro Hattori, who owned a watch and jewelry shop back in 1881 in Tokyo. The small watch shop in the corner of Tokyo quickly became a unique watchmaking company in 1924. As for Citizen, the history of this watchmaking company dated back in 1930. Japanese and Swiss investors originally owned it. Both Citizen and Seiko shoot to prominence after the quartz revolution. Which one is better in term of quality? In term of quality, it is hard to compare these two watchmaking bands due to several reasons. First of all, their lines of production offer much differing models and styles. Their strength focuses on a different aspect of watch quality. And lastly, both companies are appreciated by a large number of fans and loyal watch wearers. Of course, the quality comparison needs to be unbiased and objective. Thus, regarding the question “is Seiko or Citizen better?,” I believe that the answer depends on your preferences and definition of what is a qualified watch for you. – The quartz movement: Though Seiko is the pioneer in the quartz movement, Citizen is the one who produces more of quartz watches. If you are fond of quartz movement, probably Citizen is the best. If not, Seiko offers both quartz and mechanical watches. – Seiko emphasizes on the classic watch looks, while Citizen is more famous for their experimental design. I couldn’t quite decide which company makes the most beautifully designed watch because it is up to the buyers to pick their favorite. 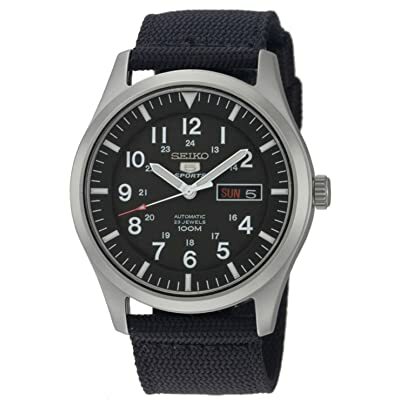 – While Seiko knows how to connect their past reputation with current lines of production, Citizen is often known for its uninterrupted use of modern technology. In term of sale, Citizen seems to be more; however, the gap isn’t significant. Are Seiko solar watches reliable? If you are thinking of Seiko solar watches, you probably concern their quality as well. Are their solar watches trustworthy? Seiko solar watches are powered by the solar or different light source, cutting down an enormous effort to replace the battery once every few years. 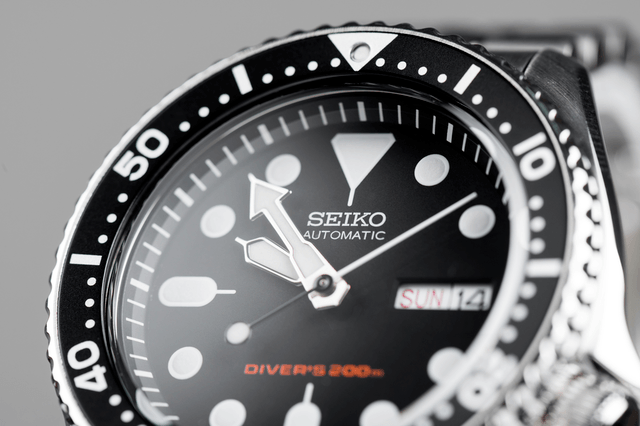 For the solar feature to work, Seiko attached a solar cell right under the dial, so that it can absorb light from any source through the dial. Like any models, Seiko solar watches have some pros and cons. One distinct advantage of Seiko solar watches is they can be powered from any light source. That being said, solar watches are regularly charged when you expose to light. Once fully charged, the watch can run for the next six months. The Seiko battery can last up to 10 years! 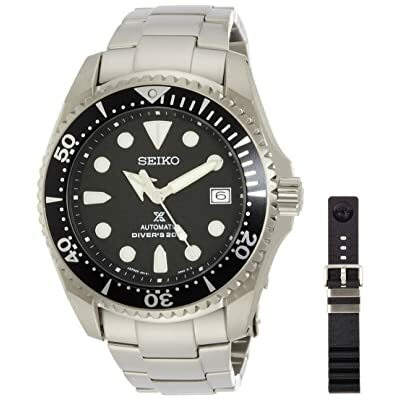 Because of the limited lifetime of the battery, it means after ten years, your Seiko solar watches require replacement. Another drawback is you can’t manually wind Seiko solar watch in case you need a quick charge. Last but not least, it seems that charging Seiko solar watches while wearing long shirts all the time. All in all, I believe Seiko solar watches are a reasonably reliable option for those who are looking for a qualified, affordable timepiece. What is the kinetic movement Seiko watch? Besides solar watches, Seiko is also famous for kinetic watches. So what are they? Seiko kick-started the use of kinetic movement in 1986 when the idea of a self-powered watch was still new. Nowadays, people are more and more familiar with battery-free watches. Seiko kinetic movement watches are one of them. Unlike solar watches, Kinetic watches are charged by your wrist movement. There is a rotor (or is sometimes called mechanical weight) inside the watch that senses the movement and charge in a capacitor. So, as long as you wear the watch and move your wrist from time to time, you don’t have to worry about unwound watches. Another way to charge kinetic watches is to use a watch winder. How long does Seiko Kinetic watches last? Good news! Seiko kinetic watches last longer than any conventional watches. Since they are charged from the movement of the wrist, it can hold a charge as long as six months. However, if you don’t touch your kinetic watch for 72 hours or more, the watch will switch into the sleep mode. Does a Seiko solar watch have a battery? No, Seiko solar watch doesn’t have a battery. Instead, Seiko incorporates a solar cell under the dial so that light can be absorbed and converted into energy. Seiko solar watches don’t use an electrical battery, which means they require no regular battery replacement. Plus solar watches are more environmental-friendly than battery-powered watches. Does Seiko Kinetic watch need battery? It depends on how old your Seiko Kinetic watch is. Early models between 1998 and 2000 features what’s called capacitors to store energy. Since 2001, Seiko used Li-on rechargeable batteries in their Kinetic movements. Most new Kinetic watches adopt kinetic electricity storage unit, which doesn’t require replacement as those conventional batteries. Is Seiko a luxury watch brand? 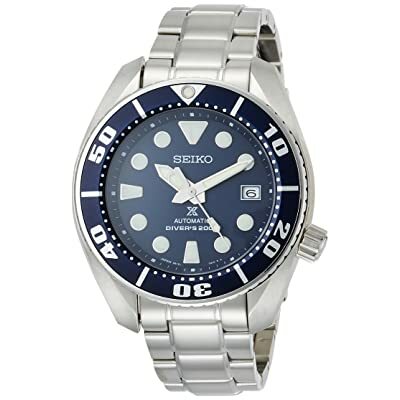 Seiko has made exceptional, hi-quality watches offering massive value and prestige for its wearers. However, when it comes to the title “luxury brand,” it seems people still think highly of Swiss watch brands rather than this Japanese one. Recently, Seiko Watch Corp has separated the Grand Seiko from the Core Seiko. While Core Seiko has already built up their reputation on Kinetics and solar watches, which are merely at the high-end level, Grand Seiko, on the other hand, focuses on models that meet global luxury level with excellent design and great value. 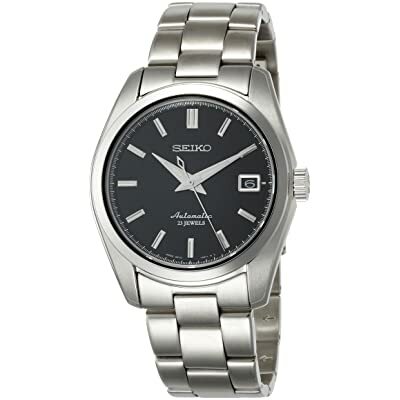 Though the future seems to be promising, Grand Seiko is still struggling to compete against their Swiss counterparts. So is Seiko a luxury watch brand? We will need to wait and see. How many watches does Seiko make a year? According to the Seiko insiders, the Grand Seiko has produced over 5,000 watches a year since 2017. Depending on the models, some are produced over a few hundred or thousands per year. Seiko has been making genuine watches since 1881 and now it is on the top of Japanese watchmaking industry. Probably Seiko is not as famous as Swiss auto watch manufacturers; it still offers us with world-class luxury with various prices. You may find some products not flawless, but it is certainly the best Seiko watches you can find for the budget. In general, “reliable, durable and elegant” are three words that I can use to describe Seiko timepieces. 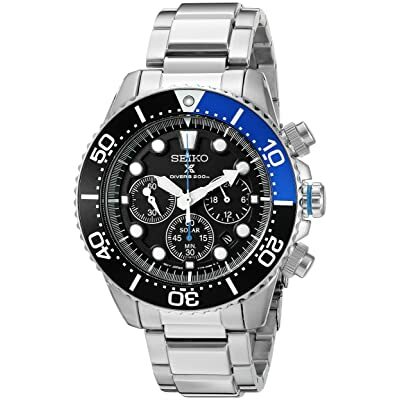 Hope that from my personal review about Seiko top 10 watches, you can have an overview of their products’ quality and know which Seiko watch to buy. Good luck!